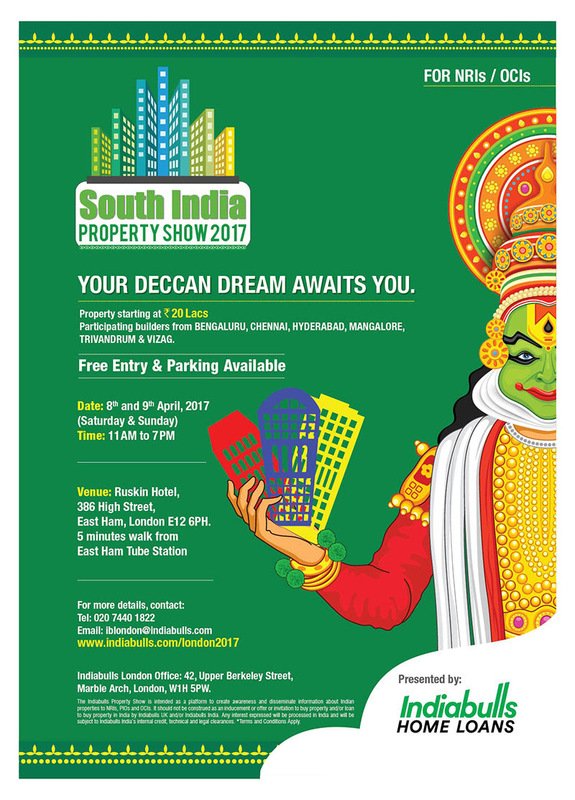 Indiabulls Home Loans London office cordially invites you and family to South India Property Show 2017 at EAST HAM. Venue: Ruskin Hotel, 386 High Street, East Ham E12 6PH. (5 Mins walk from East Ham Tube station). Showcasing range of properties by leading developers from Bengaluru, Chennai, Hyderabad, Mangalore, Trivandrum & Vizag. Call : 020 7440 1822 or visit www.indiabulls.com/London2017 for more details about the event.